BACAS started excavating in Spinney Close, Durley Hill, in Keynsham on Bank Holiday 27 August. 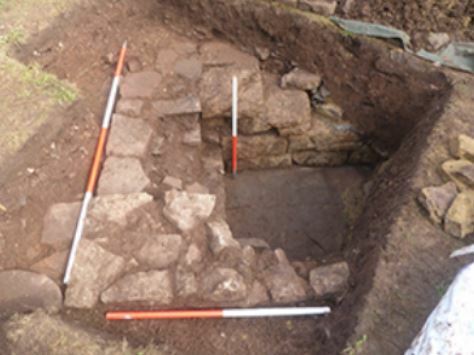 After two days, we had finished the excavation of the main trench and several small test pits but failed to find any type of conduit or culvert, as we had hoped to find. We have concluded that there is little more we can do in that part of the field so the excavation was brought to a close. Hopefully when we get permission from the authorities we will be carrying out limited trenching in the cemetery grounds.